‘Active Listening’. I learned about this skill in PT school and applied it in my very first job outside of PT school. I worked in a clinic that had a mechanical traction unit for the low back. Patients would come in for the treatment, but the equipment would sometimes cause another injury. I found that the service was replicated at each visit, but if you didn’t listen to the patient and their change in the complaints of pain, you were further irritating a new injury, caused by the traction unit. It is a specific skill that really forces you to shut off what is going on in your own mind and listen to the person in front of you. You can learn so much by just keeping quiet and attending to the person’s details. They can really give you a tremendous amount of information that guides your evaluation, treatment and engagement with them. It can actually create less work and more efficiency when you actively listen to those around you. As a Virgo, I am all about the details, being efficient, and not making mistakes so this skill totally goes along with how I operate. I had the pleasure of interviewing Dr. Karena Wu, Owner and Clinical Director of ActiveCare Physical Therapy in NYC and Mumbai. 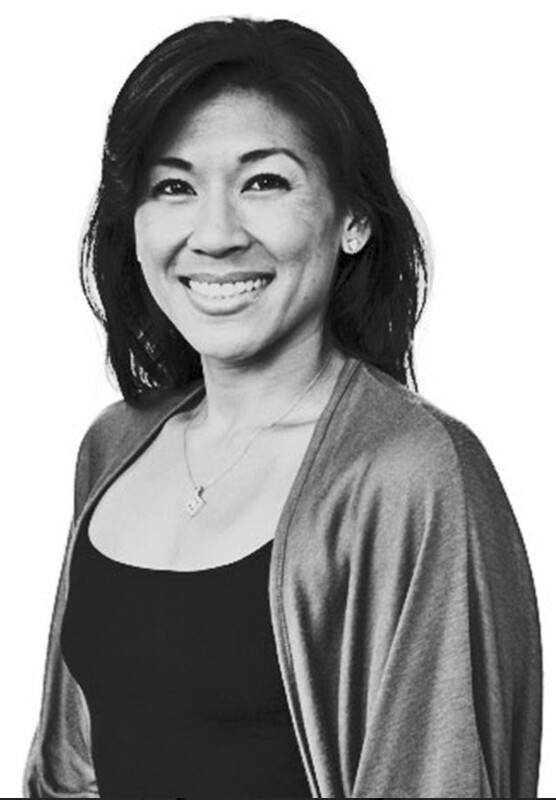 She has over 18 years of experience in orthopedics, manual therapy and Pilates based rehabilitation with multiple certifications in advanced therapies. My father has a below the knee amputation and I used to volunteer with his disabled sports group. I was always interested in medicine (I actually wanted to be a vet first and foremost, but I couldn’t deal with putting an animal down). So, after working as a receptionist after college in a physical therapy office, working with the disabled sports group and having my dad’s friend (a PT in the office I was working at) mentor me, I finally decided on the physical therapy profession. I was supposed to only work 4 day work weeks and have more downtime (one of the selling points that my PT mentor had said), but lo and behold, I know realize I am admitted workaholic because I do not consider the healing I can do a ‘job’. I was actually roped into the company by an ex-classmate. I used to say that I did not want to own my own company when I was working as the PT receptionist post college, but I fell into the role naturally. I took a lot of pride in the job — wanting to learn and know all of the components of running a business from the clinical side to the business side. I wanted to make sure I knew everything and that I ran a good, tight ship that offered the best clinical services. So, I eagerly stepped into the role and the amount of work ahead of me. It was even more gratifying to learn the business and administration component. I felt more well rounded as a clinician who participated in the back end of how services are offered. The PT profession has changed. The business is not only about your clinical services; it requires more knowledge of the business, marketing and more of a collaborative effort with the amount of adjunctive services available. A business opportunity came my way when my business neighbors moved out. My first thought was to expand my PT clinic. Knowing how much the industry had changed, I knew I could not build a PT clinic that only offered basic services. My plan: to create a one-stop PT clinic that would address rehabilitation as well as general health and wellness. With teamwork in mind, I decided to collaborate with other providers that my patients were seeing. The other providers began working in-house at my clinic so that patients were able to get more out of a visit. So, now ActiveCare PT, PC is a physical therapy company first and foremost, but we have adjunct therapies AND products that we promote to help the client on multiple levels. My main mentor was a physical therapist who was friends with my dad and who volunteered with the disabled sports group I worked with. Knowing me as a person and knowing how I liked to interact with people, she steered me into the physical therapy path. She taught me about the amount of work it would take (she worked for a clinic and then was starting her own); the importance of volunteering-we must give back for all that is paid for; and the work ethic of making sure to be on time, provide the best services and be the best in all aspects of working as a professional in the profession. I’ve shaken things up by providing multiple services under one roof in NYC. I’ve also already opened a clinic in Mumbai, India that offers the same style and level of service that can be found in NYC. The market in India is vastly different and more behind than its US counterparts. So, further shaking would be spreading the word about the level of care that can be found, making the change globally and sticking with the business mission of providing the best quality care, comprehensive and collaborative care and offering adjunct services that address other aspects of health and wellness. Both the NY and India clinic are now offering products that can help with the rehab and maintenance aspect of our clients. ‘Be Humble’. From my mother. I’ve treated clients from all ends of the spectrum in the educational/social/economic forums. The one thing that rings true in everyone is that they are just a person who has either not had the opportunities of others or has achieved more than the rest. Bottom line is you are still a person with a personality and you should stick with that. Especially for those on the higher end of the food chain, it means just being the person you were without all of the other superficial components that make you think you are better than the rest. Remember where and how you started and that everyone is equal when stripped of everything. So, remember your manners, remember to respect and remember to treat others like you would want to be treated. ‘Grit and perseverance’. From my long term client in banking who I have watched climb the ranks. Success can take some seriously hard work. They say that there are those that are lucky and then there are those that do the work. I believe it is a little bit of both. A card you are dealt in life and the energies you put out there. I find that when I put the work in and I stay the course, the turn around is oftentimes rewarding. In hard times, you have to stay strong and not waiver from your mission. The challenges I face with trying to shake up the industry and bring about change on a global front can seriously be disheartening and wearing. But, I have to remember my choices and think about the good of it all and put the time and effort in. At some point, there will be some change. Even if the change is small, I know that what I worked at had some effect and that is a very rewarding feeling. The Daily Stoic, recommended by a long term client who is also my number one fan whose voice and stories I listen to with great depth. The book is a daily read (that now travels around the world with me) that is based on Stoicism, a philosophical thought process that oftentimes rings true to the events that are occurring in my daily life. It is an amazing reminder of practicing this philosophy that helps with the ups and downs of all aspects of life. I can’t say I have one person I’d love to meet but it could be anyone from this background: true entrepreneurs who have balanced all the components in life. I am an admitted workaholic and what I do in my profession changes a person’s being on so many levels that it is truly gratifying. I actually do not consider it work. In a previous job, I used to ask my clients who were in banking if they loved what they did. I received variable responses and when asked back, I discovered that I could say with honesty that I loved what I did. And it was rare that I found anyone even close to saying that.